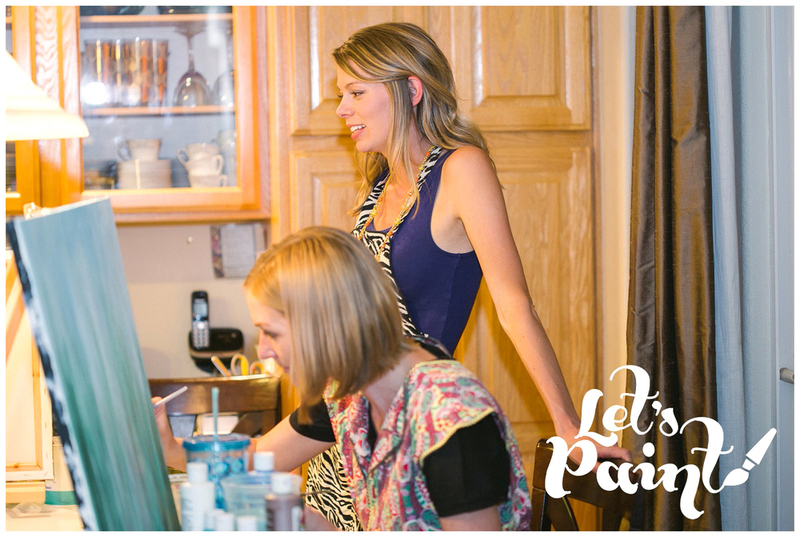 This painting party was hosted by my dear friend, Suzy. I had the privilege of leading some of my most favorite women in the world through this romantic, drippy, and slightly abstract number. Oh, what fun we had! As always, there were a lot of laughs, really good food and wine, and plenty of silliness. Jamie dipping her brush into her wine was the highlight of the evening. If you are wondering, painting with wine just doesn't quite work! Here are the final outcomes. Great job, Ladies! Content copyright 2014. Elizabeth Dolton, Let's Paint. All rights reserved.